In accordance with the requirements of clause H.11, the following information is provided regarding the Seaport-e Contract. * A list of all Team Members proposed, capabilities/area of expertise, and service experience. * Points of Contact for information related to the SeaPort-e program. Telesis Systems, Inc. (TSI) is a proud SeaPort-e prime contract holder in Zones (One, Two, Three and Four). Telesis Systems, Inc. offers SeaPort-e customers the following capabilities and professional services within the 22 functional areas. Telesis Systems, Inc. is a highly-qualified Certified Service Disable Veteran Owned Small Business (SDVOSB) located in Upper Marlboro, Maryland. TSI has provided unsurpassed technical support in the Government and Commercial sectors. As the Prime, TSI has taken the lead in formulating a highly capable and experience team of subject matter experts and professionals in response to Seaport-e FY16 Rolling Admission; (TEAM TSI). TSI has an established track record with proven experience in numerous Information Technology (IT) Support Services, Program/Project Management Support, Quality Management Support and Administrative Support Services. We focus on every effort and task with the optimism that when innovation, quantification and orchestration are applied, any task can be improved; performed more efficiently and with cost savings. Our primary goal is to provide exceptional quality and value to our customers. We maintain a strict quality control program with oversight on performance and cost. Meeting and exceeding our Customer’s requirements and making customer satisfaction a primary goal, has been the root of our success. Identifying cost savings and efficiency improvements in each assigned task demonstrates our concern for our customer’s resources and mission; we bring value to the task. 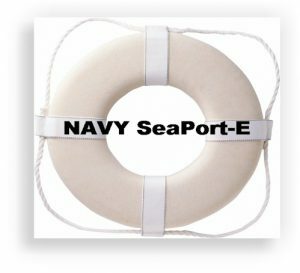 Because of TSI’s diverse ability to adapt and quickly provide support and problem resolution, the company will be the primary point for Program Management, Job Tracking, Quality Control, Cost Control and Risk Management for all selected tasks specified within the Seaport-e FY16 solicitation. The selected tasks within the solicitation cover a large range of requirements that will require unique skills, experience and expertise; Team TSI is highly qualified and capable of meeting or exceeding those requirements. Our subcontractor relationships have proven to be a Win-Win scenario for our customers and TSI as a company from a performance and cost perspective. We have developed a strong Prime/Subcontracting support structure with unsurpassed capabilities. After conducting a thorough review of our customer’s requirements, we select the best qualified subcontractors to participate on our team. In addition, as a small business we look for other small qualified businesses to participate on our team; providing the opportunity for small business growth and development. Our teaming relationships with our large businesses partners, gives us the ability to take on major efforts when necessary. With the use of our team selection and collaborating processes, we have established support areas with overlapping capabilities. This process has proven to be invaluable when providing seamless services and support to our customers. In addition, our subcontractor provide their own unique capabilities and expertise; completing the circle of support to our customers. When required, this process enables Team TSI to provide highly qualified and experienced resources ranging from operator level to engineering support; with personnel resources ranging from one to many. ABC Provides the highest quality printing and sign construction as well as education about the variety of substrates and sign types. Assist in helping clients decide what will best communicate their message while staying within budgets and deadlines. Experts in wide-format, full-color, high-resolution printing for almost any purpose, as well as creative dimensional sandblasted and routed signs, lettering and logos. ABC offers archival-ink, fine-art quality printing on a variety of media from canvas, to metallic and watercolor papers, and traditional signs: standard traffic, job site, real estate, ADA and informational signage. ACDC, Inc. is a Voice, Data and Video solutions company; providing installation of Telephone Systems, Infrastructure Cabling (copper, fiber, coaxial), VOIP, CCTV, Video Teleconferencing, and Call Center Solutions to name a few. With more than 30 years experience in the Telecommunications industry, their team of knowledgeable Sales Staff, Certified and Security Cleared Technicians, On Site Maintenance Teams and Internal Support are dedicated to providing unmatched excellence for the design, installation, upgrade, servicing and maintenance of your Telephone Systems, Data Networks and Video needs. Located in the Washington DC area, with international capability, we service both commercial and government accounts. ACDC, Inc. places an emphasis on system reliability and service support as the key components to all solutions provided to our clients, while also ensuring solutions for the accommodating expandability and future growth. Corporate Portfolio Management Solutions (CPMS) is a management-consulting firm specializing in Financial Management, Information Technology, CyberSecurity and Human Capital Management Solutions. CPMS is a SBA HUBZone Certified Business and is a participant in the SBA 8(a) Program until May 2021. CPMS Human Capital Management Division offer clients an integrated suite of HR consulting and advisory services. We stay abreast of emerging healthcare technologies, benefits and HR legislation; with a focus on information that affects recruiting and staffing. CPMS assist organizations to integrate processes, technology and information to enhance financial performance. Our integrated suite of solutions are tailored to assist clients to maximize the strategic and operational value of their organization's financial resources. CPMS HealthIT capabilities assists Federal Health and commercial Healthcare organizations to solve their toughest information management challenges and achieve the maximum value from their IT investments. We strive to provide innovative solutions and respond to clients' individual needs as their trusted advisor and partner. Cyrus Management Solutions, LLC (Cyrus) is an 8(a) certified economically disadvantaged women-owned small business (EDWOSB) founded in July 2007 and licensed in the state of Maryland. Cyrus utilizes experienced professionals to provide comprehensive information technology (IT), program management, systems engineering, cyber security and information assurance management solutions to our customers. Cyrus is customer-focused and results-oriented, understand and address your business needs to provide quality information assurance and programmatic support while ensuring that security is addressed throughout the System Development Life Cycle. Digital Abstraction uses the latest techniques and processes in Scrum and Agile Software development and project management. They develop enterprise, mobile apps and a web application to increase efficiency within the organizational business process model. In addition, they are experts in developing web, mobile, and backend applications across a broad range of industries such as financial, retail, technology and healthcare, many others. Digital Abstraction's experience and expertise has allowed them to provide exceptional programming, innovation, efficiency, and high quality software design and services to their clients. They have been consistent in providing positive end user experiences and effective user interfaces; required components in the development of successful web and mobile applications. A user interface has to be more than just an artistic look and feel, but a well-designed application; increasing user retention and satisfaction through the design and workflow process. Digital Abstraction monitors the software engineering processes and methods using various standards such as the International Organization for Standards (ISO) 9000 and Capability Maturity Model Integration (CMMI) to name a few. Management Group Inc is a small woman-owned business, with headquarters in Washington, DC, providing consulting nationally to private industry and government clients. We are driven by a passionate desire to see all people reach their maximum holistic potential. Our team consists of the President and CEO and a diverse blend of experts in the fields of management, training and recruiting with over 25 plus years of experience. Our philosophy in practice is founded on steadfast integrity; built upon our extensive expertise; secured by our total commitment to confidentiality; and finally, propelled forward by our relentless pursuit to be the best at what we do. SMGI understands that success is perpetuated by our fundamental principle of treating each client as if they are our only client. Developing and cultivating trusting relationships is our #1 priority. S.L. King and Associates, Inc.
Headquartered in Atlanta, GA, S. L. King & Associates, Inc. is one of the Southeast’s leading engineering consulting firms with offices in Marietta, GA, Savannah, GA, Chattanooga, TN, Birmingham, AL, Mobile, AL and Pittsburgh, PA. Our engineers, managers, inspectors, and technical personnel serve as planners, designers, construction and program managers for public and private sector organizations. This includes municipalities, architects, transit authorities and federal agencies. With more than 30 years of experience, Mr. King has directed, supervised and led the firm through a wide variety of multi-million dollar engineering and planning projects for a diverse group of public and private clients. This strong, focused leadership has made S. L. King& Associates, Inc. an engineering partner to come — and to come back to — for more than 90 percent of our clients. Although S. L. King & Associates, Inc. has historically provided engineering solutions for mechanical, electrical, plumbing and fire protection projects, our capabilities also include civil engineering, planning, project management, construction administration, operations and maintenance for the following industries: Water/Wastewater, Energy/Utilities, Transportation, Industrial, Institutional, Healthcare, Environmental, Information Technology, and Communications. Software Engineer support providing software development using scrum and Agile software development techniques. Task includes software programming and project management support, requirements engineering and analysis support and detailed process management support throughout the developmental process. Required to research and development low impact and low cost techniques for design specification in order to perform software re-engineering with the goal of a more efficient and/or effective design for performance operations. Performs independent review of other software applications and designs in accordance with approved test plans, specifications and procedures. Prepare reports on results, identifying deficiencies in designs, required operating capabilities and common software engineering aspects. Zone 2 3.11 QA Support, 3.12 IS/IA/IT, 3.18 Training, 3.20 Program Support Department of Energy Office of the Chief Information Officer (OCIO) Telesis Systems, Inc. Managed and participated in several significant projects where functional expertise was gained in Change Management, Organizational Analysis and Development, Quality Assessments /Implementation, Employee and Leadership Development, Performance Management, Job & Organizational Analysis, Program Evaluation, Research Methodology, Workforce Management, Survey Development, Human Capital, Curriculum Development & Training. Performed Independent Verification and Validation (IV&V) support services for the Office of the Chief Information Officer (OCIO). In addition, provided Subject Matter Expert support to the Performance Management and Quality Assurance Division (PMQAD). Developed and delivered General Service Administration – IT schedule 70 training for small businesses throughout the United States under a program funded by the Department of Energy. Support requires upgrading, installing, and supporting the various sites Telecommunications equipment; primarily in the North East Region for the Government Division of Tadiran. Support requires Tier 1, Tier 2 and Tier 3 maintenance support for all installed Tadiran installed equipment and assets. This includes the Installation and deployment of a Nation Wide Call Center supported in the various offices. One of the largest installation of a new phone system at the Veterans Benefits Administration (VBA) in Philadelphia; supporting over 1500 users, successfully moved all users to the new system. The CPMS Team provides support with the USDA OPPM Fleet Card Transition – $115M project – as a trusted advisor and strategist. We provide daily project management support to the USDA Fleet Card Manager who is leading this effort. CPMS developed the Preliminary Assessment of Internal Controls and Other Matters. OMB Circular A-123, Appendix B requires agencies to implement management controls, policies, and practices for ensuring appropriate charge card usage. Ensuring compliance and efficient methods of procurement for USDA’s motorized fleet is the basis for performing the Assessment Compliance Review. The purpose of the PMS Assessment Compliance Review, was to analyze the usage and record keeping of the Fleet Card transactions (Driver, Vehicle, and Pool) to identify potential fraud, misuse and abuse. Our initial assessment focused on existing management controls, policies and practices for ensuring appropriate charge card usage. This task was completed under a very tight deadline. Provided Project Manager and Lead System Engineering over highly skilled IT Support Team. Additional requirements included the responsibility for documenting and reporting, and the clarification of polices and procedures between Government, subcontractors, developers, stakeholders, and users for for ensuring compliance with Department Information Assurance policies and procedures. Performed Information Assurance (IA) activities including developing IA Policy, security documents, supporting Federal Information Security Management Act (FISMA) and Office of the Inspector General (OIG) Audits. Provided strategic and programmatic support to the Federal Highway Administration (FHWA) Information Technology Division (ITD) Deputy CIO and other senior federal staff in the areas of Capital Planning and Investment Control (CPIC) and Portfolio Management to minimize investment redundancy and establish a repeatable process for assessing new investments for incorporation to the ITD Investment Portfolio. Conduct quality control and quality assurance activities to ensure delivery of quality products and to improve process and procedures for the FHWA (ITD). Also, supported the ITD Program Management Office (PMO) by documenting the Investment Review Board (IRB) meeting minutes. Provide Senior Human Resource (HR) Specialist Support to the Office of the Chief of Human Capital Office (OCHCO) as need is determined by the task monitor. SMGI provide Subject Matter Experts (SME) for senior management task requirements. SMGI’s deliverables included serving as the Senior Human Resource Specialists in the areas of staffing/recruitment and position classification. In addition provides consultative services to management on legal, regulatory, and ethical requirements in the hiring, position management and pay processes. SMGI provided Executive Level Administrative Support to the Director of the Office of Economic Impact and Diversity and their immediate Office (ED-1) on a broad range of administrative program initiatives, evaluations, and process improvements in support of the Office mission. Graphical and printing designer providing expert wide-format, full-color, high-resolution graphics and printing for almost any purpose, as well as creative dimensional sandblasted and routed signs, lettering and logos. ABC offers archival-ink, fine-art quality printing and graphics on a variety of media from canvas, to metallic and watercolor papers, and traditional signs: standard traffic, job site, real estate, ADA and informational signage. Designs and installs large vehicle wraps and decals. in addition, designs and prints large exterior and interior banners, posters and informational signage for advertisement and promotional events. Support Engineer providing system engineering support for various communication systems. Task includes program and project management support, requirements engineering and analysis support and detailed process management support. Required to apply research and development techniques using existing design specification in order to perform systems re-engineering with the goal of a more efficient and/or effective design for performance operations. Performs independent test of hardware developed by other contractors or government agencies in accordance with approved test plans, specifications and procedures. Prepare reports on measured test results, identifying deficiencies in designs, required operating capabilities and common human engineering aspects. Upon Notification of Award, Team Telesis will coordinate and conduct a project kick-off meeting within 5 days post award. At the project initial kick-off meeting, Team Telesis’s Program Manager (PM) will deliver a Quality Control Plan (QCP), including Project Management Plan (PMP), performance metrics and a Work Breakdown Structure (WBS) that guide the day-to-day management of the program and establish the management and technical baselines for the overall effort. Project Management: The Project Manager (PM) will detail the PMP project objectives and scope, WBS, deliverables, resource assignments, performance metrics, communications, processes, procedures, and any additional information needed for the effective management of the project. For deliverables without a specific periodicity or well-defined level of effort, the PMP will state the methodology for determining delivery, review and acceptance milestones. Tasks will be tracked using the PMP and a Master Integrated Schedule to permit early identification and mitigation of quality, cost or schedule risks, and maintain compliance with PMI® principles. Project status, accomplishments, risk and issues (including impact assessment), and fiscal status will be summarized in the monthly progress report. We will effectively manage the resources as to take burden off of government personnel. Project Administration Support: Team Telesis has the experience in large scale project administration, from a Corporate Enterprise perspective, to tackle all aspects to project submissions. Team Telesis will apply PMI® principles and best business practices to identify the risk, assess the risk (likelihood and impact), and develop a proposed approach to avoid, accept, transfer or mitigate the risk. The PM will work with the designated SeaPort Point of Contact (POC) to validate and manage changes to the scope, expectations or execution of projects, schedules, and cost reports. Changes within the scope of the Performance Work Statement (PWS) will be coordinated and agreed to in writing by Team Telesis’s PM and SeaPort POC. Working in conjunction with on-site personnel, the Team Telesis will increase communication amongst directorates to ease in tackling facility issues, access requests, and any other support services that may arise. Performance Measurement: As part of the In Process Reviews (IPRs), Team Telesis will deliver reports and other required documents to capture accomplishments, fiscal status, performance effectiveness, and results of analytical efforts. Without fail, the Team Telesis will easily assign effective measurements, and streamline a monthly reporting process. Business Process Improvement: Standardization and streamlining of business processes embeds critical, tacit knowledge in the process. By documenting the “AS-IS” and the “TO-BE” process, our Business Process Re-Engineer (BPR) experts will be able to identify optimal solutions for reengineering efforts. In addition to identifying opportunities for process improvements, Team Telesis will leverage best practices from external sources, and utilize this logic in the standardization of best practices so that the knowledge becomes embedded in the process. Quality Assurance: Team Telesis’s reputation rests in part in the quality of our deliverables. Team Telesis takes the more assertive stance that quality starts with requirements elicitation and management, and then integrates throughout the lifecycle of the deliverable. Team Telesis uses the latest Guide to the Project Management Body of Knowledge (the PMBOK® Guide) as its standard for Project Management along with other best practice resources. Our oversight and Project Management responsibilities start upon contact award notification; aligning effective resources in support of requirements one day one. Team Telesis will assure and demonstrate nothing less than a superior delivery of services using our proven quality management methodologies.